Gonçalo Correia is on Wendy’s WOW List of Trusted Travel Experts for his expertise and connections in Portugal. The reviews below are from real travelers who’ve taken trips that were arranged by Gonçalo and monitored by Wendy. Don’t miss Gonçalo’s Insider Secrets to Portugal. Goncalo and Joana planned a wonderful trip for us. As we are very busy with our jobs and didn’t have the time to research this trip – we left it to the professionals. In two weeks we went to Lisbon, the Alentejo, the Douro Valley and Porto. We asked that we not feel rushed – so we stayed multiple nights in each location. We enjoyed each and every place we stayed, especially the Six Senses Douro Valley. As we were there in the middle of our trip and we spent a whole day just relaxing in the spa and exploring this property. Everything went on schedule with no hiccups. Our driver’s mother became ill and he had to hand us off unexpectedly to another driver.. and it was seamless. Goncalo and his team are highly recommended by us. Goncalo and his colleague, Joana, recommended accommodations and activities that were spot on for our group of eight. From the terrace of our apartment we were able to watch the fireworks in Lisbon on New Years Eve. The guide they provided, Tiago, was excellent. He knew so much about so many different topics (history, literature, pop culture, sports)—he was a true Renaissance man, as well as having a great sense of humor. We learned so much from him and genuinely enjoyed his company. Goncalo also followed up with us during our trip to see how things were going. Goncalo and Joana were responsive, helpful, and really knew Portugal. Highly recommended! Goncalo and his team overall planned a wonderful trip for us with some very unique experiences. The absolute highlight of our trip was a visit to Foz Côa for a night hike to the an open-air Paleolithic archaeological site to see the ancient wall etchings. We were with one of the original archaeologists who worked at the site. He was amazing and it was fascinating. We spent 2 nights in the most amazing inn located within the walls of a medieval castle. Unfortunately during our trip, Europe, and Portugal was experiencing one of the worst heatwaves to hit the country in year. At that time we were in Evora which was very inland and VERY HOT! Goncalo and their team were able to make some very last minute changes and recommended some of the most beautiful beaches for us to spend a few days when the temperatures elsewhere were unbearable. They were terrific and were able to change around our itinerary and reschedule things – truly wonderful service. They scheduled a truly memorable hike with incredible views. We loved the hike however we were not prepared with hiking shoes, just our regular sneakers. The trails were very challenging and rocky which was great, just not so great in sneakers with no traction. Our guide on the hike was fantastic. Our guide through Lisbon and Sintra was very knowledgeable, but he had sort of a negative cynical way about him. Our walking tour through Lisbon with him was fantastic. However, we felt that some of the other places he took us to outside of Lisbon were extraordinarily touristy like the castle of Belem (there were ATM machines in the castle!!! and the Pena palace, no historical significance, all reproductions – why see reproductions when the real things is so close by!). Overall I would rate Goncalo and his team an 8.5 and would recommend him to anyone planning a trip. He’s a super nice guy, very smart and his team was lovely and accommodating and provided amazing service and a truly unique experience for us! In September, a group of 8 family members ranging in age from 19 to 70 spent 11 days touring Portugal and then in doing a partial walk of the Camino into Santiago de Compostela in Spain. Goncalo and Pablo did a faultless job of organizing this trip according to our interests. We wanted to see the important sights, but yet have some athletic activities. We had 3 very athletic people on this trip. I told Goncalo that having excellent, informative guides was very important to us and he delivered. Tiago, our Portuguese guide, speaks perfect English, has traveled to the US and elsewhere, has inexhaustible energy and an encyclopedic knowledge of Portugal. Teresa Oliveira, our guide for the Spanish hike, was also very knowledgeable, as well as fun and extremely accommodating to the diverse needs of our group. Most notable was the way that Teresa and Pablo accommodated a last minute schedule change at the end of our trip. Due to Hurricane Florence, 2 of our group moved their return flights up by a day, 20 hours before flight time. While driving to our hotel, Teresa et al managed to move up all the next day’s activities, ie. guides & private visit, into that afternoon so that the early departees wouldn’t miss out on anything. Somehow they got it done and later Pablo refunded people for the hotels/taxis they didn’t use! That afternoon’s private visit was to Pazo do Faramello. We did a few private visits during this trip, but this was exceptional. Beautiful place, fascinating history, charming host—go if in the vicinity. Without hesitation, I would recommend Goncalo and Pablo to anyone. We had Pedro and Helder for 2 1/2 days in Lisbon. They were superb. Pedro managed to make changes to our daily itinerary on the spot. Helier was an excellent driver. He outdid himself the evening we went to the Fado performance, guiding us on foot at the end and hoping he would not get a parking ticket! Pedro is so well versed on all of Portugal and a superb guide. He highlighted the important parts of all the museums and castles we visited and managed the time. We highly recommend both gentlemen and would pass their names on to anyone. This trip was to celebrate a special birthday for my husband so I wanted it to be perfect in every way. I’ve actually never used a travel expert before so I wanted to see what value a travel expert could bring. Neither of us had ever been to Portugal and really didn’t know much about the country but decided we wanted to work with someone who would ensure that we saw the best of Portugal. Gonçalo was amazing. He contacted us immediately and asked us what our priorities were. Food and wine were a priority. As well as visiting the major cities, we wanted to rent a car and see the countryside. After a conference call and some follow up draft itineraries, Gonçalo put together an itinerary that included wine tours, local private foodie tours, and day tours. We wanted to learn about Portugal and its amazing architecture and history so Gonçalo hooked us up with incredibly knowledgeable and professional tour guides. Gonçalo took care of absolutely everything, which was exactly what I wanted, and made himself available to deal with any issue that arose. What really impressed me about dealing with Gonçalo was that he was regularly in touch with our tour guides, on the fly, to make sure we were having the best possible experience. The value for me in using Gonçalo was the ease of planning the trip and ensuring that we saw the best of Portugal. It seems that Gonçalo is well respected by all of the hotels that we stayed at. Free room upgrades were really appreciated including an upgrade to a master suite in a 5-star hotel! Nice touch. I would totally recommend Gonçalo for trips to Portugal and Spain as well! One of the biggest takeaways from our trip to Portugal was how kind, patient and helpful the people we met were. That description certainly fits Gonçalo Correia. From our first phone conversation with him where we talked about the type of things we wanted to experience on our trip, we knew we had the right person to help us plan. He listened carefully and asked the right questions. His patience was certainly in evidence when our original plan for a group of 6 who were thinking of self-driving morphed into just the two of us with drivers throughout our stay. Gonçalo did not miss a beat, cheerfully revising the proposed itinerary. Once in Portugal we were extremely pleased with our guides and our drivers. From arrival to departure, each gave us a great look into their country, its people and its history. Our accommodations were first rate. We especially appreciated our hotels in Lisbon, Evora and Porto which blended history with modern amenities. We were warmly welcomed at each place we stayed and were touched by the notes and goodies from Gonçalo that awaited us. We had a WOW Moment during our trip and it turned out to be just that. While we had hoped to visit a specific Port winery in the Douro, they were fully booked. Imagine our surprise on the morning of our WOW moment when we arrived at a Quinta owned by the same family but not open to the general public. Our guide was “Port Royalty,” a daughter of the family, and our visit was topped off with lunch on the balcony of the family home. A WOW moment indeed! Gonçalo embodies the best of the Portuguese people. We would highly recommend visiting this beautiful country using Gonçalo to plan a trip that will be sure to give you many great memories. He’s a perfect example of what the WOW List is all about. The outings and travel guides were excellent! Goncalo planned a wonderful trip for us. Accommodations were all lovely and relaxing and the restaurant recommendations were amazing at each stop, but best of all the outings and travel guides were excellent! They were all very knowledgeable and made the experience that much more interesting. Despite all the rain that week, we had a wonderful time and would love to go back! We could not have easily made all the arrangements ourselves. For our Portugal trip, Gonçalo and Joana were extremely flexible and helpful from start to finish. We could not have easily made all the arrangements ourselves. Gonçalos recommendations for hotels and restaurants were excellent. Porto and the Douro Valley were highlights for us and less crowded than Lisbon and Sintra. We had to skip several of the planned activities due to a health issue and Gonçalo handled the changes with exceptional patience. The guides he chose were knowledgeable and friendly and our driver, Jose da Silva, was the best. It is easy to over schedule yourself (we did) so be sure to ask a lot of questions when planning your trip, know your limitations and share them with Gonçalo. I would absolutely recommend Gonçalo. Everything on our trip to Portugal was wonderful. Gonçalo Correia did a wonderful job of organizing our trip for 8 people all of whom had different arrival and departure dates. The guides, both in the cities and on the trail were more than excellent. We are a highly inquisitive traveling group and all the guides were fountains of information. We soaked it right up. Transportation connections went perfectly, Our main guide, Tiago, stayed with us for 6 days and was great company. He helped everything go smoothly, taking us from place to place with ease and grace. If you are planning a trip to Portugal, look no further than Goncalo Correia. 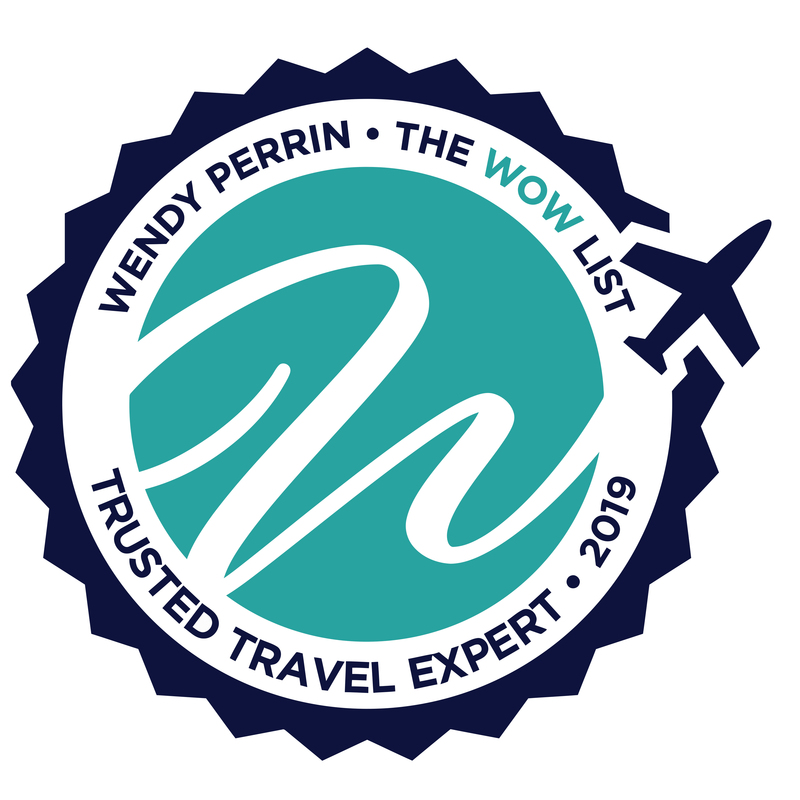 This is the third trip we’ve taken using a travel specialist from Wendy Perrin’s WOW List, and each trip has met or surpassed our expectations. Goncalo’s support clearly falls into the category of surpassed, from the moment we started to plan our trip and throughout its duration. My husband and I travel with another couple, and we wanted to plan a three-week driving tour of Portugal. Goncalo was exceptional from the start: his listening skill are superb. He asked questions to understand our needs, how we like to travel, the types of accommodations we prefer, the experiences we enjoy. The itinerary and travel route he created met all of our needs, enabling us to get a good sense of the various regions and local cultures. Our route took us off the beaten path to villages and areas not overrun by tourists, i.e., the Alentejo region, medieval villages south of the Douro Valley. 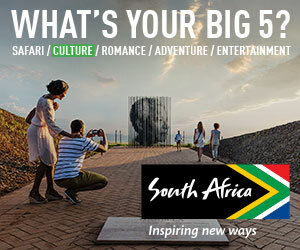 The accommodations were excellent, with each one reflecting the culture and nuances of the particular region. He understood we have an interest in history and political context and selected guides that were well versed in these topics. An example of understanding our special interests was the visit to a couple of wineries. As we live in the wine country in California, he understood that we did not want wine tasting or winery visits to be the focus of our trip. We asked that he recommend one or two experiences that are a “must,” and he arranged two dining/tasting experiences that were off the chart exceptional. Every restaurant he recommended was excellent, again capturing the local flavor of the region. My husband and I lived in Europe for three years and traveled extensively, but this was our first trip to Portugal. Three weeks seemed more than enough time, but upon return, we felt we could have stayed another week: a testament to the beauty, generosity, and warmth of the people and country, and to the wonderful itinerary and pace that Goncalo so exceptionally planned. As our travel companions said (which echoes our thoughts): “we are over the moon—one of our best trips ever”. Great job, great trip, can’t wait to go back! Thanks to the knowledge, experience, planning, and outstanding logistics management by Goncalo and his Spanish colleague Pablo, we had a spectacular 21-day trip to Portugal and Spain. It was everything we could have wished for. Each venue was interesting, enjoyable, different, and memorable. Highlights included Lisbon, Porto, Sevilla, Granada, and Cordoba, but we also enjoyed Coimbra, Evora, Cadiz, Ronda, and other venues. The quality of Goncalo and Pablo’s selected guides was exceptional. All were knowledgeable, responsive, personable. The guides in Lisbon, Granada, and Seville were especially impressive. All the guides were responsive to our needs and wishes and helped us understand the surprisingly complex history and uniqueness of the sights we visited. Not surprising, the Alcazar, la Alhambra, and Mezquita will be memories for a long time to come. But less well-known venues such as the cork markets in Evora and the white-washed village of Grazalema were also enchanting. All the drivers were well-dressed, professional, and courteous. The cars were clean and terrific. The high-speed AVE train from Cordoba to Madrid was terrific, a great choice. We enjoyed all the recommended hotels. The Posada in Lisbon was terrific. We were so very happy we chose to stay at the Alfonso XIII in Seville. It was a highlight, wonderful in every way. The Parador in Cadiz was remarkable and our junior suite fabulous. And we were so very happy we had successfully attained reservations at the Parador de la Alhambra in Granada. It met our high expectations driven by feedback from friends. In general, the hotel breakfast buffets were outstanding… the pasteis de natas and churros with chocolate were favorites! We were also greatly pleased by personal greeting notes at each venue. Food and wine are highlights in Portugal and Spain. We had many wonderful meals based on Goncalo and Pablo’s recommendations. The Rabo de toro stew and various suggested soups were delicious. We also really enjoyed the chosen Fado restaurant. In terms of special arrangements, we found the boat cruise and the winery in the Douro Valley especially enjoyable. The boat Goncalo chose for us was exceptionally nice and the winery lunch delicious. One anticipated challenge for Bill involved the omnipresent cobblestones and sometimes steep grades. Thanks to heads-up from Goncalo and Pablo, accommodating guides and drivers, along with his walking stick, enabled Bill to walk almost everywhere. In summary, we were very pleased with Goncalo and Pablo’s suggestions, patience, and responsiveness in addressing our many questions during the planning process. They learned our wishes and needs and delivered a great trip. We also felt very good about the cost of this trip relative to the quality and pleasure we experienced. We traveled to Portugal and Azores in September 2018 for two weeks. Goncalo provided a fine itinerary that met all our of our expectations. He listened to our pre-planning interests and crafted a travel plan that that was as smooth as the best Douro port wines. During the trip, a minor change was needed: my email request to Gonçalo was acknowledged and implemented in quick order. Towards the end of our trip in Azores, a problem with the rental car (clutch failure) developed on a remote road on San Miguel, an email to Gonçalo brought about a quick resolution. The service he provided was excellent and reasonably priced. We had a great, relaxing trip without having to lift a finger! We loved our trip and had a great experience working with Goncalo. We were in the middle of an international move, job changes, and renovations and he was able to seamlessly take our feedback and interests and create an amazing tour. The hotel recommendations really saved us from spending more money on worse experiences. There are way too many options in the Algarve and he was able to expertly navigate us to the best ones. The final hotel we visited was absolutely magical and so off the beaten path, I do not think we would have been able to find it ourselves. The meal recommendations were also extraordinary. Overall, we had a great, relaxing trip without having to lift a finger! Gonçalo and Joana did an amazing job organizing our trip to Portugal in less than six weeks. The private transfer from the airport to the private tours through Lisbon, Sintra, and Evora were fantastic. The driver was so friendly, as was our tour guide Vanessa. They were both a wealth of information. My husband and I headed to the Alentejo in a rental car that was delivered right to our hotel. Gonçalo and Joana arranged for a GPS and driving directions for us. Our stay at the recommended resort (beautiful farmhouse in the middle of a vineyard) located in the Alentejo was nothing short of fantastic. We had a reservation for a wine tasting at a winery other than the one we were staying at. My husband and I thought the reservation was made at the winery on the property. We were contacted by Joana just an hour after the appointment time. We explained what happened and she was able to get a refund. We then headed to the Algarve and stayed at a beautiful 5-star resort. They made a dinner reservation for us at the Michelin two-star restaurant on the property. When we arrived for dinner, we were told that our travel agent had not made a reservation. We contacted Joana. She solved the problem the next morning. The resort had made the mistake of booking us at a different restaurant on the property. After Joana’s persistence, they fit us in the next night. We ended our trip in the Algarve with a 45-foot catamaran loaded with two kayaks. Our captain took us on a private cruise to the caves where his assistant led us, via the kayaks, on a tour through them. This was the pinnacle of our stay and one which we could not have arranged on our own. Lastly, we very much appreciated Gonçalo and Joana’s specific restaurant recommendations (and they, of course, made the reservations for us) in all of the different areas of southern Portugal that we toured. We would highly recommend this team of experts, and we are looking forward to working with them again. Both Gonçalo and Pablo did an amazing job planning our trip. From the very first day when we were upgraded to the Bette Davis suite (they knew she was my idol) at the Maria Cristina hotel in San Sebastian to all the wonderful eating and drinking experiences they set up for us. Some of the highlights were a beautiful sail down the Tagus to Lisbon, a private eating club experience in San Sebastian and another amazing suite at Reid’s Hotel in Madeira. When a friend of ours was injured on a bike trip we took in the middle of our vacation, Goncalo switched all our reservations around so that we could stay in Porto near the hospital for a few days. He canceled several hotel and activities at the last moment and we didn’t have to pay for any of it. We would have never known to do some of the activities and excursions that were put into place for us. We are SO happy we booked our honeymoon through this team. We had Pablo Calvo and Goncalo Correia as our planning team. We did not reach out to WendyPerrin.com or begin planning our trip until the first week of March. Pablo and Goncalo set up a conference call at a time when all four of us could connect. We spent nearly an hour on the phone discussing our wants, past experiences, tastes, and etc. I also have an email stream of 75 emails working out the details and asking questions during the process. The team was excellent with communication and making sure we were delivered a valuable experience. The itinerary and game plan they put together could not have been matched. We initially said we wanted to visit either Madrid or Barcelona, Spain and then Porto, Portugal. The team was able to put together a trip that included 3 days in Madrid (including a full day excursion to Toledo), 3 days in Barcelona, and 4 days in Porto (including a day excursion to the Douro Valley and a half day in Guimaraes), tapas and tavern tours, private walking tours, personal transportation, prepaid entrance fees and reservations, cooking experience, boat cruise, wine tastings, proper hotels, train tickets, and I am sure I am leaving something special out. We hit plenty of history, culture, food, and drink. The trip went off without a hitch. Reservations and timing of events were seamless and perfectly positioned. The local guides were so helpful to kick off each city. We would have never known to do some of the activities and excursions that were put into place for us. The rough draft bid was around 20% higher than our initial budget, but we worked together well to alter some of the activities without compromising the experience. They warned us that they would go with the full options and best experience they could provide, and then could work it down a bit if we could not swing it. This was a special trip for us, so we wanted to know what a top-level experience would cost, and we were comfortable with this approach. Like I said in the previous paragraph, they were great with communication, and did a good job of working with us through all concerns, questions, and needs. Utilize one of these teams! We cannot “stress” the lack of “stress” involved in planning the trip with the team. We have spent time in Asia, Africa, and Europe before, along with tons of domestic travel via long weekends. The local guides were a great way to kick off each city. They gave a great “lay of the land”, with plenty of stories of both local history and current events. The team does a great job of learning about you and putting together the best layout for your tastes. They leave no stone unturned. I suggest asking for as many options as possible to find out what you would like to do. Like I mentioned in an earlier paragraph, we exchanged 75 emails and spent an hour on the phone to arrive at our final 10 days, 5 city adventure…. totally worth it! Knowing the most important/enjoyable activities and sites, understanding the timing and effort needed at each, hotel and transfer accommodations, there are so many different points that the team performed better than we could have on our own. The drafts/proposals were easy to sort through, and we appreciated the printable version to keep on us throughout the journey. It was also very helpful to forward on to family members for their information (and flight numbers, hotel contact, etc). Overall we were just well taken care of; it was very appropriate. The great communication did not end when we started the trip. I had multiple questions during the journey that were answered ASAP by the team. They were a great resource before and during. As you can tell, we are satisfied. We are very thankful for everyone’s efforts towards creating and maintaining a great honeymoon. Several things distinguished this trip from all others I have undertaken using one of Wendy’s trip specialists. We traveled with a 1-year-old. I knew this meant a lot of consideration had to be given to where we stayed, how we traveled and what we did. Goncalo scored on all aspects. Goncalo has a child close in age to our Oliver and knew how to plan a trip that would include a small child. First, he selected a family-friendly hotel in Lisbon — Martinhal Chiado Family Suites — in the trendy and convenient Chiado area. We opted for a 2 bedroom apartment with full kitchen and washer/dryer. What a perfect choice this was. The apartment was great–comfortable and spacious with amenities we were grateful for in staying 4 nights there. It also had great breakfasts and a kids’ playroom. Second, when we did a full-day trip to Sintra, though my daughter wanted to see Pena Palace (I’d been to it on a previous trip), he suggested instead that we go to Quinta da Regaleira and Convento dos Cupuchos, which were both interesting and much easier to navigate with a small child than Pena Palace would have been. The weather cancelled our planned lunch picnic but no matter; the restaurant he and our personable and knowledgeable guide selected were just right. Goncalo had lots of nice upgrades for us. He personally conducted our walking food tour on our first day in Lisbon educating us about Portuguese foods (and drink) taking us to great places I’d missed entirely on my earlier trip to Portugal. When we departed Lisbon for Coimbra on our way to the Douro Valley, our car was delivered to the hotel and turned out to be a major upgrade from what we’d rented (and lots more comfortable). I was particularly grateful since I was in the backseat next to Oliver in his car seat. Our hotel in the Douro Valley was wonderfully located, our rooms were very spacious, and the private boat for our morning cruise on the Douro River was spectacular. So much nicer than I’d expected. The wine tour he’d chosen for us was the best I’ve ever done. We learned so much about the port wine industry and tasted the best (and most expensive) port wines I’ve ever had. His suggested stop on our way to Porto at Guimaraes, which I’d never visited, was spot-on and we had a great time with Oliver clambering all over it. When we had trouble getting to our hotel in Porto due to road closures, a call to Goncalo got us navigated right to it while he stayed on the phone and then got us to the luggage drop off and parking. Our guide in Porto was terrific. Suggesting we take the train back to Lisbon instead of driving also proved to be the right call, as did a last night back at the same hotel in the same 2 bedroom apartment. In short, I can’t speak highly enough of Goncalo. This is not the trip I would have taken (or had him design) if it had just been my husband and me but it was perfectly designed and executed for travel with Oliver who not only turned 1 in Lisbon but learned to walk during our time in Portugal. Trip specialists who really listen and craft trips to meet clients’ desires — and sometimes needs not even recognized by themselves ahead of time but anticipated by the specialist — is why Goncalo is the 13th of Wendy’s specialists I’d used. Goncalo listened very well during our pre-trip planning and then executed our itinerary based on our preferences. Goncalo did add value because not knowing the country makes it hard for us to decide which cities/activities/attractions are of interest. We gave an overview to Goncalo of what we liked and he then directed us exactly to what we liked. He was spot on. The only thing I would recommend to make the experience even better is to include driving directions from point a to b in the itinerary, or a printed map. We used google maps and road names and directions are not accurate in Portugal. We had quite a bit of difficulty finding the different hotels mainly because of the medieval cities they were located in and remote areas off the grid. We’re here in the airport in Portugal and even before we got home, we wanted to RAVE about Gonçalo. He absolutely belongs on your WOW List. Although we had a few hiccups getting the trip set up (I think the hotel canceled after Gonçalo had already made the reservation, causing him to have to scramble the week before we left), the trip itself has been as flawless and lovely as we ever could have hoped. Traveling with a toddler overseas is not always simple, but he arranged the perfect balance of activities and guides to meet everyone’s interests. He paired us with super smart, kind, and engaged guides who paced things well for our little one and still made sure we saw much more (and more authentic) than a traditional “tourist” trip. He also set up seamless transfers and made the rental car as easy as we’ve ever encountered. The hotels he picked were some of the most lovely and friendly we’d ever stayed at, including a small inn in Alentejo that felt like we were staying at the country house of a dear friend. In short, he put together a fabulous trip and we’re big fans of him, and of your service for connecting us to him. Excellent travel specialist for Portugal. Set up outstanding experiences. The private guides were very knowledgeable, professional and personable. The drivers safe & courteous. Would highly recommend. Our guide (Sophia) and driver (Manuel) were very knowledgeable and responsive. The guide, in particular, discussed our interests, adjusted our itinerary, and provided detailed information throughout the day. Our key goal was to try to track down some family history from Estoril during 1940. With limited information, Sophia made a special effort to track down the general location and history we were seeking. Together, we were able to identify the specific site we were looking for—a truly special experience for us. The rest of the day was enjoyable and informative and tailored to our groups abilities, including Cabo de Roca, a coffee break, and some key sights and history in Lisbon, not to mention, a taste of Pastéis de Nata (custard tarts) and Ginjinha (the local cherry liqueur). Gonçalo provided excellent advice and guidance to us as we planned our trip to Portugal. From the initial phone call, he asked the right questions, and his suggestions were spot on. We took his advice and opted to rent a car in Lisbon to travel to the Douro Valley and finally on to Porto. It was definitely the right decision. The wine tours and lunch that he arranged were lovely – particularly the one at Quinta do Crasto. Portugal is a wonderful travel destination if you want to catch your breath, not be inundated with tourists and enjoy a relaxed pace. We would not hesitate to use Gonçalo again. Wendy calls it the “WOW” list for a reason. Gonçalo Correia and his team crafted the trip of a lifetime for my new husband and I. We worked with Gonçalo while deep in wedding planning, and he was extremely patient and responsive with us throughout the entire process, making our 19-day December 17/January 18 Portugal honeymoon the light at the end of the tunnel. I spoke with Gonçalo over the phone to kick things off, describing our interests and the cities we were wanting to visit. He was super kind and honest, letting us know what would be closed or perhaps unsafe to reach during the winter, but providing comparable options in other regions. We received the most well thought out and organized itinerary from him. It was the perfect balance of must-sees, off-the-beaten-path suggestions, and open days to relax and explore. Goncalo immediately contacted me via email, then set up a skype call to discuss our desires in detail. Came back with an excellent plan in the price range we had discussed. The details sent in advance were very complete. The hotels he chose were excellent. The tour guides, especially Tiago were outstanding–so knowledgeable on every facet of Portugal culturally, historically, architecture, food, etc. Goncalo called several times during our trip to inquire if all was well. There was absolutely no problems, surprises or disappointments. I would recommend highly. And Portugal is beautiful. Thank you for making the connection. I so enjoyed working with Goncalo. From our first conversation, I felt that we were in very capable hands and that he would put together memorable excursions for us and we were not disappointed. He was very engaging and from the results of the tours that he put together for us, a very good listener! We were on a cruise with a finite amount of time to explore Madeira and Lisbon but wanted to get an overview of both cities and see as much as possible. Whenever we travel to a new city we love to get an overview of the city, it’s culture, how its citizens live and its politics. Our first stop was in Madeira (Funchal). Our guide for the day was Maria, who was fantastic! She suggested that we start our tour in Madeira with a ride on the cable car to Monte and we are so happy that she did because it gave us these fantastic views over Funchal. She met us at the top and from there it was one wonderful experience to the next. After walking around the beautiful Monte Palace Gardens we visited the Church of Our Lady of Monte and then proceeded on to the charming fishing village of Câmara de Lobos, where soccer player Cristiano Ronaldo is much revered as he grew up just a few miles from here. We stopped at the legendary Number 2″ where we, of course, indulged in the local drink, Poncha. We drove along the beautiful coastline and into the countryside taking in the beautiful views. We enjoyed a wonderful lunch of local fare with Maria at restaurant Adega da Quinta. Perfect! Overall, a very fulfilling day. Our next stop was in Lisbon. Goncalo suggested that we do a walking tour of the city which was the perfect suggestion. Our guide, Rita, was terrific and very knowledgeable. We met her in the center square in Lisbon and began our wandering, but very focused tour of Lisbon. It was perfect for us because we tend to be freelancers when we visit new cities. While it was obvious that Rita had put together a very focused day for us we knew that if we wanted to veer off from the preplanned schedule, that would not have been a problem. We ended our tour at Café Lisboa for lunch, which was perfect. Also, a day in Lisbon would not be complete without a stop at Confeitaria Nacional for custard tarts. This is not to be missed but be aware they are addicting! We are so pleased with the itinerary that Goncalo put together for us and without question, we will definitely work with him again. Goncalo Correia was a pleasure to work with and I look forward to using his services when I return to Portugal! This year I was spending Christmas abroad and away from family and decided to treat myself to a trip to Lisbon, a city I’d not yet visited. I usually plan travel on my own, but wanted to be sure that I didn’t make any mistakes with respect to operations and availability of things due to the holiday. So I contacted Goncalo for his guidance and expertise. After a quick phone discussion about my budget, preferences for accommodations, and what I was seeking to get out of my trip, Goncalo came up with suggestions for me that I hadn’t considered. The proposal was well within my budget and reflected the fact that he had clearly understood what I was looking for. There was no pressure to book the trip and no pressure to agree with his suggestions. Goncalo was timely with communication but did not make a hard sell, which I appreciate. After forwarding a trip proposal, which included a suggested itinerary and details of the trip, Goncalo was patient in waiting for me to make a decision. Once I had time to consider the proposal and do my own research, he was receptive, flexible, and accommodating when I requested revisions. All costs were clearly spelled out and payment was easy (and could be made in a variety of ways). I immediately received a receipt of payment along with an itinerary and handbook with information and tips regarding Lisbon and Portugal. At the end of the trip I was provided a final invoice for my records (which matched the prior invoice that I paid) and just after the holidays, Goncalo was in touch seeking feedback. Goncalo ultimately booked me a hotel room in Lisbon and one in Cascais, on the coast, as well as private transfers between the cities and then back to the airport, and reservations for dinner my first night in Lisbon. Both hotels exceeded my expectations and I was told by the porters in each hotel that I would be staying in “the best room of the house”. The staff at both hotels were exceptionally attentive and responsive. I stayed in a small suite on the top floor of a beautiful, boutique hotel in Lisbon and then in a sea-front room with private set back balcony and gorgeous views just a short walk from the center of Cascais. Sweetly, a bottle of Moscatel wine and a bottle of Porto, respectively, were waiting in my rooms, courtesy of Goncalo. The private transfers that were arranged were timely. Both drivers were courteous and drove safely. The cars were impeccably clean and comfortable. I had initially thought I might use public transportation to get between cities and back to the airport. Goncalo had proposed the private transfers and after some thought, I decided to treat myself. I am so glad I did as I had spent the previous 6 months doing a lot of traveling around the EU doing all the planning on my own. It was relaxing, comfortable, and convenient. And, because Goncalos proposal was well under my budget, I had no guilt splurging (the transfers were reasonably priced for what they were, but I don’t generally “allow” myself such luxuries when traveling). The restaurant in Lisbon was also terrific. It was super buzzy and busy, clearly a favorite with locals and required a reservation. With all of the choices in Lisbon, I am confident that I would never have found this restaurant had it not been for Goncalo’s suggestion. The service was great and the food was outstanding. Even better was that it was a short walk from my hotel. In sum, I would highly recommend getting in touch with Goncalo if you are visiting Portugal. The entire process was easy and the trip he planned was perfect and surpassed anything I could have planned myself after hours of research. Prices as quoted, flexibility and responsiveness with personal touches. A real pleasure.